Claribel finished her political science studies at UMSA in June 2008 and went on to defend her thesis. After her defense she graduated as a lawyer. Bernabé writes: "It is a very important achievement for her future life, she goes to the purpose of exercising her profession freely." 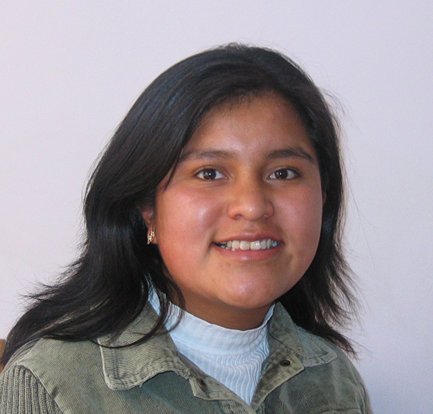 An AVP participant, Claribel is a member of INELA. Submitted by dcoffee on Fri, 05/02/2008 - 15:49.